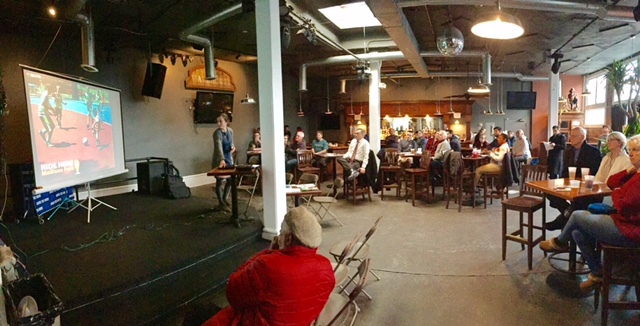 On March 21st a public meeting was held at Around the Corner to inform residents and collect feedback on bike infrastructure planning in the city. The presentation from the meeting can be found HERE. The vision of the Bicycle Master Plan is to establish bicycling as a main means of transportation and accommodate current bicyclists’ needs through policies, programs & projects. This plan was approved in 2012 by city council after several workshops in the community. It can be found HERE.